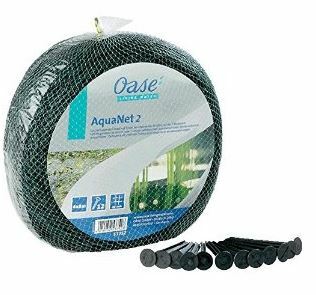 The leaf protection net is pulled over the pond before the autumn leaves start to fall. Thus water pollution due to falling leaves and branches is effectively prevented from the very beginning. No layer of decaying leaves with its putrid gases can form on the pond floor. 8 Stakes are supplied for securing and to tension the weather-resistant net.